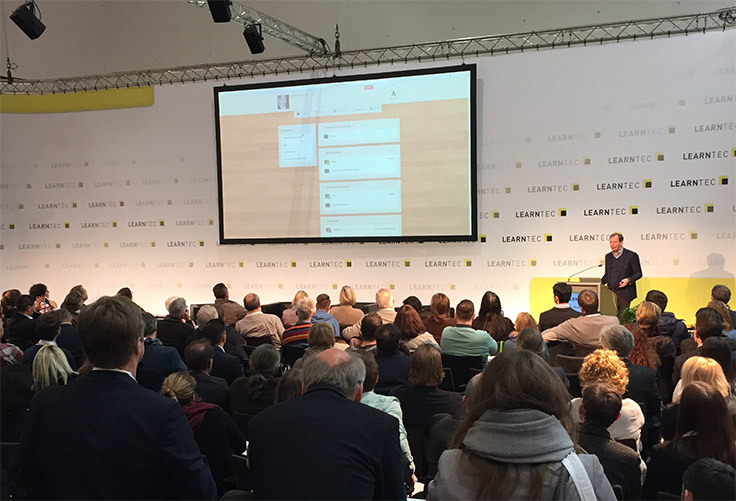 Rehearsal recently presented for a large global audience at the LEARNTEC conference at Karlsruhe Trade Fair Centre in Karlsruhe, Germany. The conference was keynoted by learning guru, Elliott Masie, and attended by more than 7,000 participants and 240 exhibitors. Rehearsal had the opportunity to discuss how its technology is pushing learning and coaching to new levels. Take a look at the presentation and contact Rehearsal to learn more about how you can use its virtual practice platform to increase performance. This global learning company trains 100+ associates each year to deliver a signature training program for the company. The signature program reveals individual thinking and behavioral preferences through experiential and interactive learning. As part of the associate training process, each must be reviewed by seasoned coaches to ensure understanding of the content and ability to identify thinking patterns and behaviors of the students in the class. The content in these workshops is personal and can be sensitive so the company must ensure that its trainers are ready and able to do the job accurately and consistently. Prior to implementing Rehearsal, associate reviews were done in person and through videos sent on flash drives; however, with a growing team and limited resources, the company was forced to find a more scalable solution. After learning about Rehearsal’s technology, the company bypassed a pilot program and went directly into implementation. A group of associates began their training experience using the Rehearsal platform. They were provided with instruction to learn the content of the workshop and then asked to use Rehearsal’s technology to record their best delivery. The response to the technology was very positive. Since June 2015, hundreds of associates from North America have used the Rehearsal platform to practice and showcase their training abilities. The coaches find it much easier to pinpoint where feedback is necessary which helps the associates to more quickly improve and get in front of the students for live workshops. Travel needs have been reduced and trainers find the process far more efficient. Based on the results, the company has now implemented Rehearsal internationally. Your Harshest Critic May be You…So Get Over Yourself! I saw this article in HRB so I assumed it was credible and timely but what I found is that it is incredible and timeless. In a group of 10 people, maybe half will say they never want to speak in a public arena, two or three may say they are ok with it if they have to do it, and the remaining are your budding thespians who get on the stage and in front of a mic whenever they can. But here’s what I find incredible….you are still afraid of what you’d look like or sound like or say once you walk up to address the mic? I get fear of the lights shining on you; fear of tripping up the stairs or on the carpet as you walk into the presentation room; fear of a bad AV connection — those are random occurrences and you’ll have to deal with them at some point. But you know what shouldn’t be random? In the generation of #selfies, do you really not know what you look like? And I mean doing everything…I have seen what Gwen Stefani looks like when she wakes up in the morning and even President Obama was caught practicing his smile and his wink, “Things Everybody does but Doesn’t Talk About”. So to many the fear is, like Teddy and his successors have said as recently as at last night’s DNC Convention #HRC, fear itself. You no longer have to fear how you’ll “show up” in the arena. You don’t have to worry about mumbling, misconstruing words, missing the message, or licking your lips 50K times in a 30-minute presentation. Why? Because you have technology that will handle that. Specifically, you have practice technology called Rehearsal. Whether your anxiety shows up when you have to speak in front of tens of thousands, present to a group of co-workers, or meet with a new prospect, you don’t have to fear anything because you can practice EVERYTHING. Fear is what you make it and only you can let it grow and take over. Or you can take control of it. Put yourself in the hot seat — no one needs to be watching — you are your harshest critic after all…so get over yourself. Let Rehearsal help you to show the world who you really are. Go forward my fearless friends. Darik Volpa is a passionate entrepreneur. He’s started two successful software companies including Understand.com and Rehearsal VRP. Prior to this, Darik had a successful 10-year career at Stryker Corporation in various sales and marketing roles. Next Next post: How many times did Colonel Sanders try to sell his fried chicken recipe? First movers tend to gain the greatest reward. Those companies that don’t innovate tend to fall behind. Virtual reality is not widely known. So I ask you: What is widely known? What is available to let you rehearse for that workplace performance we demand of our employees and of ourselves? It’s Rehearsal. And the first movers are gaining the greatest reward. And those companies that are not practicing with visual recognition, creating “hotseat” environments for practicing workplace behaviors, and giving constructive and managed feedback – are falling behind. Some of the world’s largest companies are turning webcams on their own employees — not to see what they are doing wrong but instead to help them make it right…make it better. If swimmer Michael Phelps gained a competitive edge by visualizing every aspect of his race, what can your employees gain by seeing themselves present, practicing how they may answer a tough prospect question, or by finding a new angle to an old challenge because they had the chance to see someone else do it differently? If a virtual-reality trained surgical resident performs gall bladder surgery more accurately and 29% faster by seeing what he or she does and improving upon that work, why wouldn’t your employee sell faster, find ways to be more profitable, or create new solutions for old problems, if he just had the opportunity to see himself? 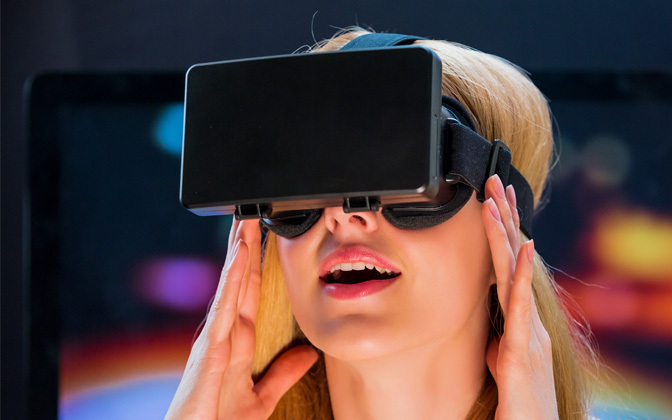 You don’t need to wait for virtual reality technology. That is an excuse. We have what you need to see exactly what you are doing. Get better now. No excuses. Previous Previous post: Five Tips from Kouzes and Posner. We Couldn’t Agree More. 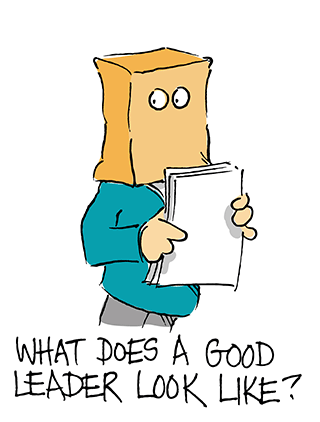 Next Next post: Your Harshest Critic May be You…So Get Over Yourself! Next Next post: Become great. Peter Bregman, business advisor and author of 18 Minutes: Find Your Focus, Master Distraction, and Get the Right Things Done, argues that leadership development programs strive too earnestly to create safe environments for learning. But the best learning often comes in times of risk and struggle. I picked that up in a Forbes article entitled, “If You Think Leadership Development Is A Waste Of Time You May Be Right”. One of my favorite quotes comes from training…physical training…it’s from celebrity trainer, Bob Harper, “You have to get uncomfortable to see change”. Simple, right? Anyone who works out regularly knows that it has to hurt a little (sometimes even a lot) to see results. The same applies to personal challenges; you can’t change what you refuse to confront. Now let’s bring it back to leadership development. We spend more than $15B annually to develop our leaders (get the Bersin Research Executive Summary here). How often do you think our developing leaders get uncomfortable? How often do you think they watch themselves lead, recognize what needs to be improved, and then make and practice those changes. In reality, most leaders — like people in general — see something they like or don’t like about how someone else is doing something and then borrow or alter styles and strategies to forge their own approach. What could you learn if you stopped for a moment and watched yourself? Previous Previous post: We are human. We get better with practice. We are human. We get better with practice. This article from Business Insider is a nice reminder that most of the all-time greatest athletes work a lot harder than most people realize. They have an obsession with being successful. They have places to practice. Compare the mindset and work ethic of your all-time greatest employees with the mindset and work ethic of these athletes. What are the similarities? What are the differences? Now compare and contrast the mindsets and work ethic of your great employees with your average or your below average employees. 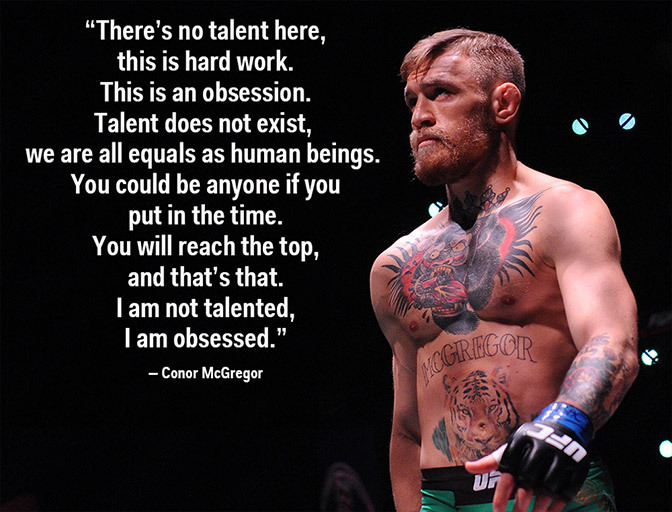 How can you convince all of your employees to have an obsession with success? What more can you give them? What more do they have to give? At Rehearsal, we believe that practice builds ability and capability and that grows into an obsession with success. The bottom line is that we are not all born talented; we are born human. But with practice and hard work, we can achieve anything we can dream. You have a date. It’s different than other dates. He always seems to be looking over your shoulder and comments about things that are behind you versus the nice shoes you just bought. She’s totally cool. She never complains about how you don’t tuck in your shirt and she’s fine if you wear flip-flops no matter where you go. Your date is a webcam. Your webcam captures you from the waist up in most cases. Your webcam cares a lot about the wall behind you. What else is your date looking at and how can you make the best of your time together? 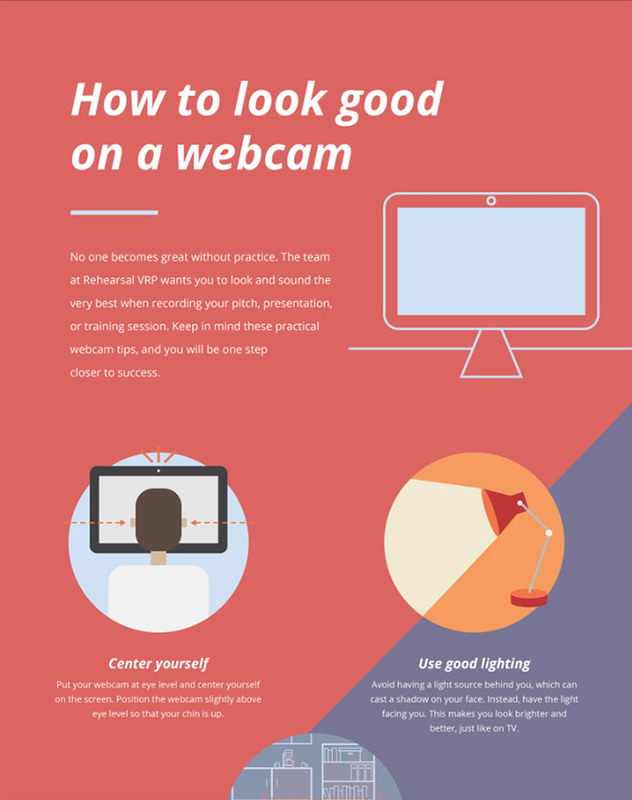 Get the latest infographic from Rehearsal, then practice your webcam style, and share it with us on Twitter @Rehearsal and hashtag #meandmywebcam. Next Next post: We are human. We get better with practice. I was watching Sunday Morning at 4PM ET last weekend. The show featured internet celebrities…people who got famous for going viral. It mentioned many of the social platforms that I am less familiar with like Vine and Snapchat. But something caught my attention. I work with video and yet I am still amazed by what it can do — not just the production of it but the impact it has on people. It’s not like we haven’t been using it for decades. In fact, I watched a documentary last week about the Ford Company and saw movies of Edsel Ford partying in his 19th century chateau. But here is what’s different about video today. Second, we have short attention spans and yet want to squeeze the most out of the short time we have to devote to learning something new. Video can tell a story in a matter of seconds. Forrester claims that a one minute video is worth 1.8 million words! Third, and possibly most important, “seeing is believing”. Those of us in learning know how hard it is to measure the impact of learning initiatives. We have come a long way and many large companies are using evaluation models and assessment tools that tie nicely to business outcomes. But would we feel differently about learning if we visually saw progress? Finally, I’ll throw one more thing into the mix before I get to the point of it all. I’m a gadget guy. I found this during my downtime internet reading: https://getkiba.com/. It’s a video camera that knows how to identify the most important moments you and your family experience. That’s right….it records and self-edits your life so once you watch it, you only see what is important. The camera builds your story for you. What if you had the chance to teach people, watch them learn, watch them practice, watch them grow, watch them get better? What an amazingly human way for companies to show the impact of talent and development initiatives! The good news is that you don’t need to “get kiba” into all of your offices; you don’t need to get Vine celebs to capture your employees’ greatest “six-second” learning moments. You just need to teach your team and encourage them to practice. Well, at least that is your part. We at Rehearsal will capture the stories for you so you can watch every team member grow. I’ll leave you with this video that has been viewed millions of times. It’s a six-second time-lapsed video of a woman….growing. What if you could watch your employees grow? You can with Rehearsal. Do you have video clips — time-lapsed or not — of you, your employees, your co-workers, you kids, learning and growing on video? Share them with us on Twitter at @Rehearsal and hashtag #watchmegrow. Wonder why everyone is talking about video? Because it works. If you want learning retention, you need video. This infographic from Rehearsal makes your next business case for video and learning. Rehearsal takes these stats to the next level by using video role play to put learning into practice and practice into results. Have you ever been to the circus and wondered how those trapeze artists got their start? Was it jumping from bed to bed as a child that gave them the confidence to fly high in the air with the greatest of ease? Was it just a born talent? I took my two kids trapezing during winter break. While I felt safe about the facility and instructors, I still had to wonder how my kids were going to go from never having seen a trapeze up close to being caught in the air by a man in tiger pants flying full speed ahead toward their little bodies. The session took two hours. We learned about three moves and we had to practice them over and over again until our instructors felt we could do them without giving each much thought. Each try came with input for how we could make the moves look cleaner, how we could move our bodies more efficiently and how we could prepare for when we would reach out to be caught by our partner. When our instructors felt we had perfected the moves, we were ready for the big catch. I needed about two more hours of practice before they would ever give me the green light to move on; however, my daughter, a budding gymnast, was allowed to move to the next level and was successfully caught by her partner each time. See here. This experience made me reflect on what I do as a sales manager. All too often we let our sales representatives go out there and “get ‘em”, but are they really ready? Some of our newbies may be like my daughter and already come with confidence and expertise; others may be like me on a trapeze and have no experience or confidence at all. But no matter what point they are at when they begin, we have to give them the room, time, and tools to practice before we literally let them throw themselves to a new prospect. We never want to lose a good opportunity because of our own incompetence. We need to practice the basics, get feedback, move to the next level, and repeat. This is how we build confidence and competence. This is how we build a stronger sales team. Of course, that’s not right. As it turns out, you can spend a lot of time practicing and actually be hurting yourself. I’ve had a chance to see that first-hand. Having spent many years coaching kids’ football, I had lots of opportunities to see how other coaches run practice sessions during the week. You would be amazed at how many coaches go directly to “team” practice – that is, 11-on-11, full scrimmage. To understand the problems this creates – or, if you’re not familiar with football (or football practice) – this is akin to the actors in a Broadway play practicing the entire play, from Day 1, with people who may or may not know the lines or the choreography. Instead of blocking scenes, practicing lines, and working on choreography, the actors go straight to full rehearsal (for more information on “blocking” a scene, read THIS). So, a typical football practice for a young kid (think 3rd through 7th grade) would include a warm-up and some stretching, followed by some general drills like sprints and agility exercises. Then, there might – MIGHT – be more specific drills: blocking, tackling, and ball drills (throwing and catching). After that – 30 to 40 minutes into practice – a lot of coaches would go directly to practicing plays with a full offense and defense. The problem with this kind of approach should be obvious. Team performance doesn’t improve until individual players improve, which, by definition, would require much more individual practice. As a college football player, I was exposed to truly effective practice sessions. Warm-up. Stretch. Agility drills. Then, individual ball skills. Receivers, for example (the position I played), throw and catch with QBs. They practice specific routes. They practice catching passes from different angles, with one hand, facing the QB, over the shoulder, and much more. Depending on the position, there was extensive blocking or tackling practice, with every conceivable game possibility included in the practice. For instance, a lineman might practice zone blocking, pull blocking, doubleteams, and much more, with application to specific plays the team runs. Then, it was on to group practice. Groups of players worked against other groups. The offensive line practiced against defensive linemen. Receivers worked against defensive backs. Quarterbacks and running backs worked together against linebackers and defensive ends. It was in this part of practice that the connection between individual skills and specific plays were created. Players learned how their individual roles created success in a specific play. Compare that with the average employee who toils away in a cubicle, often in complete obscurity, with little understanding of his/her role in the success of the company. Then, after all of that individual and group practice, it was finally time for “team” practice. But, realize that by this point, each player understands his role in the play. He has practiced the individual skills that allow him to excel in that particular play. He has worked on footwork, recognition and reaction, blocking and tackling, and much more. The point to all of this is that sequence is important. Players (employees) have to perfect individual skills before they can excel within the “team” framework. Unfortunately, few companies provide that type of practice environment. In sales, for example, a salesperson needs to learn how to interview, ask questions, get referrals, respond to objections, present dozens of different solutions, tell compelling stories, present pricing, and so much more. But how many salespeople actually practice these things before they go LIVE in front of a customer?? Those companies that actually provide some level of training are often guilty of exactly the same mistake that amateur football coaches commit – they go straight to full-on sales presentations without any thought to the individual skills that will make those presentations more effective. That’s where Rehearsal becomes incredibly invaluable. First, it eliminates the objection of working in front of peers; employees can practice in the privacy of an office or at home. Second, it allows managers to practice on specific individual skills before going live with a customer. Finally, it allows employees to practice over and over until it’s right. And then they can continue to practice to stay sharp or to adapt to change. Remember, all practice is not created equal. Individual practice is critical. Sequence of practice makes a huge difference. And, most importantly, perfect practice is what creates perfect execution. We created “video role-play” technology, which is cool, but it turns out that our customers are using Rehearsal for much more than just role-play. Role-play is simply part of a larger application: practice. That’s why we’re dropping the “video role-play” and presenting Rehearsal as a practice platform. You’ll notice this change in our product and message as we move beyond role-play. Practice does matter; just ask the passengers on Captain “Sully” Sullenberger’s flight. All 155 people survived the “Miracle on the Hudson” because through the power of practice, Sully was able to perform when it mattered; that’s why we asked him to be in our next ad campaign. You might not be an airline pilot like Sully, but the same rule applies: No one becomes great without practice. We finally got the domain we wanted: Rehearsal.com. This perfectly captures our message of practice and is easy to remember (remarkably, Mark Cuban owns practice.com and he wasn’t interested in giving it up). A big thank you to all of our clients and supporters. Lot’s more to come in the following months. 35 selling days left for 2015. Finish strong. Very, very few athletes will tell you how much they love practice. It’s more like a necessary evil. Of course, players recognize the value of practice but they’re not exactly enthusiastic about it. The truth is that practice is incredibly important to performance. World-class athletes don’t become world-class without years of purpose-driven practice. In fact, here is a question: Can you name one skill of any consequence that does NOT require practice to excel at that skill. Of course not. You cannot, and will not, perfect any skill unless, and until, you practice. It’s true in sports, and it’s just as true in business. Selling skills. Customer service. Conflict management. Presentations. These and many other business skills require practice to improve. Which means that, if your employees are not practicing to improve their skills, YOU (the manager) are guilty of the ultimate performance killer – no practice. Yes, I know, some people seem to get to an acceptable level of proficiency quicker than others. Some folks just seem to have a knack or a gift for certain skills. Some are even good enough to skip by simply because they are naturally much better than most. But, forget the outliers. Their native talent will take them to a certain level, but it won’t make them the best of the best. That takes practice. The truth is that, at some point – for some it’s earlier than others – a substantial amount of purposeful practice will be a non-negotiable aspect of consistent, long-term success. So, why is it that very, VERY few companies utilize any kind of practice to improve those skills? You know how – after all, you were a superstar – but you’re really not very good at teaching and coaching. You personally don’t enjoy practice, so you avoid it. You think practice is time that could be better used doing other things. You personally don’t have time to oversee practice. Those are the Top 5 excuses in a landslide. And, just as an aside, No. 5 is probably the single most common excuse (see my post, “The 4 Most Dangerous Words in Your Leadership Vocabulary“). But let’s take a minute and take a look at those really lame excuses in a different context. Reporter: “Uh, yeah. Practice. You know, next week? What will you work on? Coach: “Well, here’s the deal. We don’t really practice. My players are not big fans of practice. It’s taxing on the players, and frankly, they don’t like to have to practice their positions in front of other players. It’s kinda embarrassing. It’s tough enough to play in this league without those kind of distractions. Reporter: “Well…not really, no. I mean, I’m not really sure how to think about that, coach. You were 9-7 last year. 6-10 before that. And you’re off to a slow start this year. It’s hard to imagine that you don’t….uh…practice. So, that’s what your excuses sound like. Your team isn’t winning consistently, and you’ve got salespeople that consistently underperform. And you don’t practice? 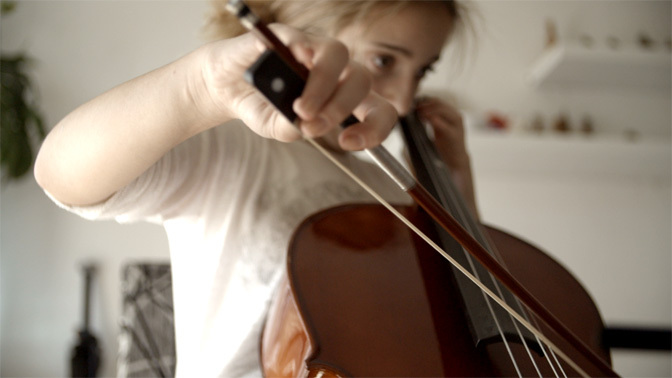 Let’s go back to square one: You don’t get better at anything without practice. Deming said, “If you can’t describe what you’re doing as a process, you don’t know what you’re doing.” What that means is you need to know where to start. If you can’t determine why people succeed – and why they fail – you really don’t know what needs to be practices. Step 1: Have a detailed sales process you can assess, teach, and replicate. The next obvious step is to know and understand what skills a particular salesperson needs to develop in order to succeed. In football, it’s blocking and tackling. And footwork. And throwing. And catching. And dozens of other things, each depending on your position on the field. Step 2: Figure out the mission-critical skills and activities for each step in the process. And right about now is when the concept of practice becomes important. When I started in sales, my first boss made it very clear: I would be able to demonstrate to him that I could adequately present our products before I went into the field to represent the company. Think about this for a moment: Are you seriously trying to convince me that your salespeople are stellar in front of prospects, but they can’t present your product in front of the boss because they’re embarrassed? Or, they don’t like criticism? Step 3: Make role-play and other forms of practice a habit. A regular habit. You’ll be shocked at how fast and how much employees improve critical business skills. This is where Rehearsal VRP becomes an invaluable business tool. Employees can practice any of the essential business conversation skills I’ve mentioned using a video platform that is convenient, easy-to-use, and ridiculously cost-effective. Then, employees practice their responses (or presentations) sitting in front of a computer web cam. Following each try, employees can opt to submit that video, or take another try – which is what practice is all about! Once a final submission is made, a manager or trainer can then view the response and offer valuable feedback via the same video platform. Plus, there is the option to create competition – and further improve performance – using the available “Leaderboard” option. Yes, you can make practice fun! Make no mistake, business is a competition. Just like sports. If your team is going to win, employees need to “play” well. To play well, they must practice. If they want to win, that is. But, it’s easy to be mediocre. Just look around. I have never seen an average company practice. Previous Previous post: Sales Training is Not Enough! Sales Training is Not Enough! As business owners, we all want to increase our sales. One effective way to boost numbers is by brushing up on our sales skills, and we know that means obtaining sales training for ourselves and our teams. Sales training is great; it’s a crucial refresher that reminds us to be more consistent in our activities. Not only does training recharge our old skills while we learn new ones, it can be extremely motivating for future endeavors. But what happens after the training? How much do you and your sales team retain? Does the training provide the impetus for real behavior change? Yes, it was, but will it make an impact on sales? I’ve been in the sales training business a since 1994; I’ve seen companies spend an enormous amount of money on training only to have everyone go back to business-as-usual the next week. Of course some of them incorporated a few things they learned but on the whole overall behavior didn’t change and there was no lasting effect. Our brains only have the capacity to take in so much new information at one time. So no one leaves a training of any kind with 100 % of what was taught. Our capacity to learn can be a limiting factor of any training. Another limiting factor is assimilating that new information and using it to change our behavior. Most of us are reluctant to change, unless we see a need or are forced to change. So even when we learn new information, we may not use it. If we do want to change our behavior, it may require practice. I ran a training on handling objections for a client of mine. Their close ratio was only about 20%. It seemed to be the price but it wasn’t. They were losing deals because prospects didn’t understand the features, so they didn’t see the value for the price. During the training I taught the salespeople to ask more questions and to understand what features the prospect was most interested in before educating them and trying to close. We also discussed helping the prospect understand their return on investment. We role-played a bit during the training and thought they were ready to go out and try the new sales process. Sadly, things did not change the way we thought they would. What we discovered was the team didn’t have enough practice, so under pressure they reverted back to their previous behavior that held the low close ratio. More practice was needed but with everyone back in the field the question was, how do we give them the practice needed. It’s tough to incorporate enough practice and each salesperson will learn at their own pace. The fact is, the practice has to continue until the behavior has changed. That could take a few weeks or a few months. Salespeople need a safe place to practice and then to try what they practice in the field, with guidance. This takes a lot of coaching from the sales manager or peer mentors, but it is imperative. To solve the problem I found a platform that makes this all much easier. It’s called Rehearsal VRP. I implemented it with the sales team I mentioned above and the results improved dramatically. It is absolutely an outstanding tool for providing ongoing practice for any type of training, but of course, I use it for sales training. I still do role-play during a training but now I incorporate practice on Rehearsal VRP for reinforcement long after I am gone. I build the scenarios on the platform and they are there for my clients to use, forever. The platform is easy to use and a sales manager can record a new role-play any time a new sales issue comes up. Here are just ways my clients are using it; product launches, product training, handling objections, sales call planning and practicing presentations. Practice with feedback improves results. There is no doubt about it. Having the ability to have salespeople practice and give them feedback asynchronously is a game changer. What are you doing to improve the performance of your sales team? Alice is a nationally recognized sales expert. She’s made numerous guest appearances on television and radio broadcasts, in addition to being featured in print publications, including Entrepreneur’s Startups and Selling Power magazines. Over the course of her two decades of teaching others the fine art of selling, she’s earned a host of awards. Saleswoman of the Year, Marketer of the Year, and the U.S. Chamber of Commerce Small Business Blue Ribbon Award are a few of the acknowledgements adorning her office walls. Lost revenue. When salespeople aren’t ready to have conversations with customers, they’re more likely to lose deals. Additionally, there is the risk of creating a poor impression of your company when you send unprepared sales reps into the field. High levels of stress. Yes, salespeople need a tough skin to succeed in sales, but which manager wants to contribute to extra stress and anxiety by exposing salespeople to trial-by-fire experiences or failing to help them properly prepare for selling situations? The sink-or-swim approach does force salespeople to learn, but it’s not very enjoyable or efficient. Onboarding drag. The faster you can get new hires up and running, the faster you can see revenue gains. A lack of proper coaching and training only adds to the amount of time it takes for your new reps to ramp up. Hiring difficulties. A great learning culture is a point of differentiation that can make or break your hiring efforts. If your company becomes known for its poor learning environment, new hires might decide to take jobs at companies that invest in providing better training, coaching, and support. You re-engineer your selling territories. You adopt a new sales methodology/sales process. Salespeople then submit the recording to their manager or mentor for review. The person who reviews the recording then provides video feedback as well as a numerical score. The numerical scores are tallied and the top-ranked responses are added to a Leaderboard. This allows an organization to build a library of “Best Selling Practices” that everyone can view and learn from. Rehearsal VRP software poses a number of advantages. Firstly, sales managers are able to scale the learning environment quickly. This means that when a competitor comes out with a new product, managers can disseminate a role-play quickly to all of their salespeople, who then can begin crafting a successful response to use during conversations with customers. Secondly, salespeople have a safe space in which to practice their skills. They can record themselves as much as they need to before sending their video for review. I’ve found that salespeople gain more confidence when they’re able to practice a skill on their own as opposed to being put on the spot in front of a group. Finally, the leaderboard allows salespeople to learn from the best possible responses to your organization’s particular selling challenges. 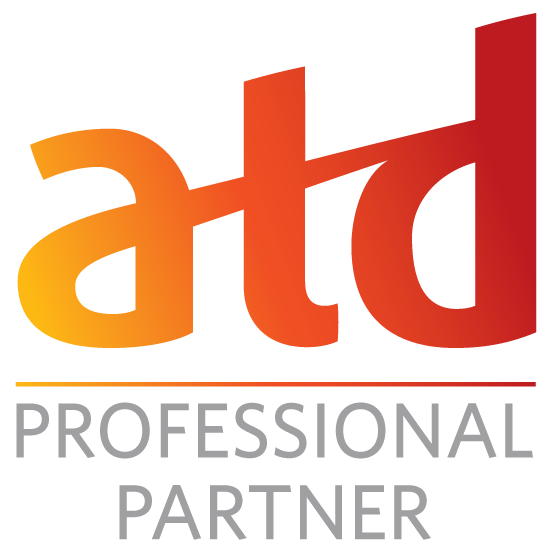 Our clients are reporting that Rehearsal is helping them obtain better ROI on their existing sales training investments. One sales leader at Clorox has reported saving $1,500 a week in travel and expenses. 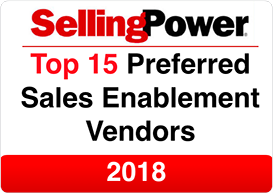 Additionally, among a survey of 27 salespeople at AbbVie who are using Rehearsal VRP, 78% agree or strongly agree that it is helping them effectively understand and practice the Challenger Selling model. Today, there’s no reason to let your reps sink or swim. Chat with us live or sign up to take Rehearsal for a test drive and see how you can start creating an optimal learning experience. Next Next post: Sales Training is Not Enough! My name is Mike Kunkle, and I’m a recovering musician. Kidding aside, sometimes it surprises people when they learn that I have two degrees in music, played professionally, and composed and arranged music. When I was studying music in college, if you had told me that one day, I’d be working in corporate America, I would have laughed in your face. If you had told me that I’d be working in any field related to sales, I would have told our bartender to cut you off and certainly taken your car keys. It’s funny how life works, isn’t it? I’ll spare you the details about my odd transition, but I do want to share a relevant “lesson” with you (yes, pun intended). What’s not funny about all this, is how well my music education prepared me for success in the sales profession. What’s sad about that, is how difficult it is for me to get others to heed my advice on what music taught me about how to succeed in sales. Want to make it worse? 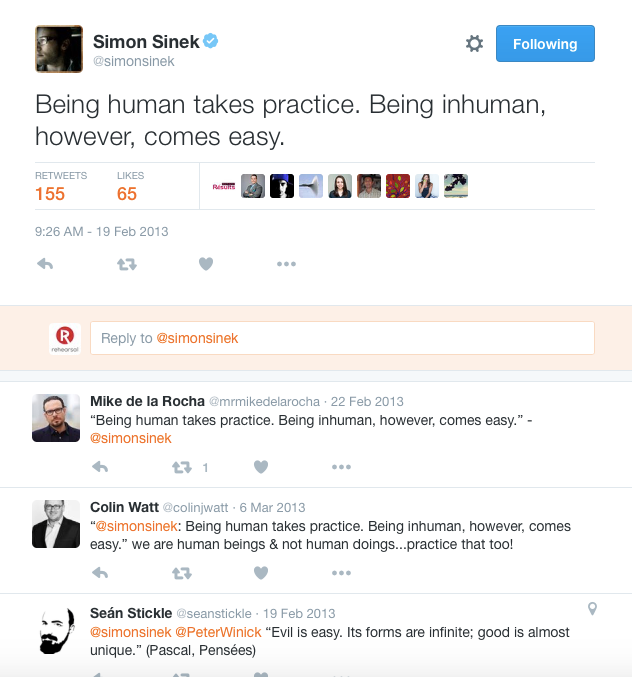 In sales, “practice” means “role-plays” or sales simulations. Despite rampant sports/sales analogies and a seeming connection between sports and sales psychologies, for whatever reason, role-play still makes many sales reps and managers groan. One of my degrees in music is a performance degree. From my senior year of high school (where I purposefully orchestrated a lot of free periods to practice in the band hall) through my college graduation, I spent a lot of time in private practice rooms or in rehearsals. I practiced scales, arpeggios, etudes, long tones, and musical pieces, from ensemble or band parts to solos. When I wasn’t playing, I was often listening to players I admired, or writing music. I ate, breathed, and slept music. I had to; I got a late start with music. I didn’t start playing until my freshmen year in high school, and I primarily joined the band because I wanted to meet a certain clarinet player. I caught the bug, though, and four years later, was accepted into a music program. Another four years later, I emerged with two degrees, one in performance. Two years later, despite my passion, I made a difficult decision to pursue another career direction. I stayed in the entertainment profession but moved out of music into the business end of things. In that first job, I entered the world of inside sales in November of 1984, and it’s fair to say that I had no idea what I was doing. I did get some proven scripts, training, and a good manager (the business owner) who was also a mentor and invested time in me to help me succeed. Still, I wasn’t very good out of the gate. What I did, however, was throw myself into it, like I had done with music. I practiced my scripts every night. I tape-recorded myself doing it and listened to the tapes to critique them and try again. I practiced on my friends, who thought I was crazy but went along with it and gave me feedback. I documented the objections I heard and rehearsed my responses. I asked for feedback at work, constantly, and took it. Later, I bought a VHS video recorder and a tripod, and video-taped myself as well. I also bought whatever books, cassette tape sets and videos that I could afford. I played the tapes constantly in the car, to the point where I was able to talk along with them. If you’ve been around awhile you’ll remember the names Zig Ziglar, Brian Tracy, Tom Hopkins, George Walther, Roger Dawson and others, whose tape sets were available through Nightingale-Conant. Eventually I ran into the content of Linda Richardson, Ron Willingham, Mack Hanan, and others, which took me deeper in the direction of consultative, buyer-focused, solution-oriented selling. I practiced, drilled and rehearsed through all of it. I even eventually made tapes of myself delivering messaging, presentations and resolving concerns, and talked along with myself in the car. Look, I wasn’t a natural at selling and have never tried to hide that. I really struggled at first. If you know me or have read my work, you probably get that I’m driven, but I’m much more of an analytical type who figures things out so I can improve them. Yet, I got pretty good at selling. At a different company, I outsold the rest of MY peers on my team and was promoted to manager. That year, we did two things that helped us overachieve every goal category… we instituted dedicated prospecting days for everyone, and we all practiced, drilled, and rehearsed our prospecting, questioning, presenting, closing and concern-resolution skills, and gave each other feedback. We did some practice and role play, every single day of the week. It worked like magic. It wasn’t comfortable for everyone at first, but we worked through that and created a supportive, positive environment where everyone helped yet challenged each other. We blew the doors off that year, and I was promoted again, to where I really wanted to be… into the Sales Training department at the corporate HQ. Twenty-four years later, I can say confidently that I found another passion to replace my zeal for music, but there is more of a connection between the two, than most people will ever realize. Get started with a role play/simulation/practice initiative, and get started now. Sales analysts consistently report that the inability of reps to communicate value is a major deterrent to sales success and growth. This is the path past that hurdle (assuming they can create value, which is a different issue). Stop coddling your reps and letting them complain their way out of doing role-play and practice. This is valuable, important work, just like spring training or concert rehearsal. Don’t allow reps who play customers to “take it easy” on their partners. When practical (especially for certifications), hire actors or use company executives or other employees to play the customer role. Provide honest and direct feedback (not harsh, but not sugar-coated to make it “easier” on reps). Enforce the rule that reps play the role and speak the messaging or conduct the dialogue live, as if speaking with a real buyer, not just talking about what they’ll talk about. Provide ample time for reps to rerun the scenario after they receive feedback, with multiple practice-feedback loops, if possible. Make practice and feedback a cultural norm and expectation. I didn’t gamify my approach in my past, but I might today. If you turn it into a fun competition, while ensuring the supportive environment and learning focus remain, it could provide some additional motivation and inject some fun. Use available tools like Rehearsal VRP to enable practice with evenly distributed, remote teams (for times when you can’t get the team together), to foster and build a sales coaching culture, to document your teams’ capabilities and their progress, and to more easily capture and share best practices among your team. special expertise in sales force transformation. We‘ve learned a lot since launching Rehearsal VRP in January of 2014, but our biggest lesson is realizing that Rehearsal is so much more than video role-play. Video role-play will continue to be a powerful application of our technology, but the true scale and potential of Rehearsal goes much further. In its most basic form, Rehearsal is a practice platform. It provides your team members with a safe place to practice, to observe others, to receive coaching, and to become better at what they do. Everyone at the top of their profession, be it athletes, musicians, dancers, pilots, or sales professionals, all made it to the top through hours and hours of practice. There are few better examples illustrating the importance of practice, than the Navy SEAL’s training program called BUD/S. These remarkable men accomplish the impossible every day. In this video blog, former Navy SEAL Darren Hicks discusses the significance of practice and how the lessons that he learned in the SEAL Teams have impacted his professional life.